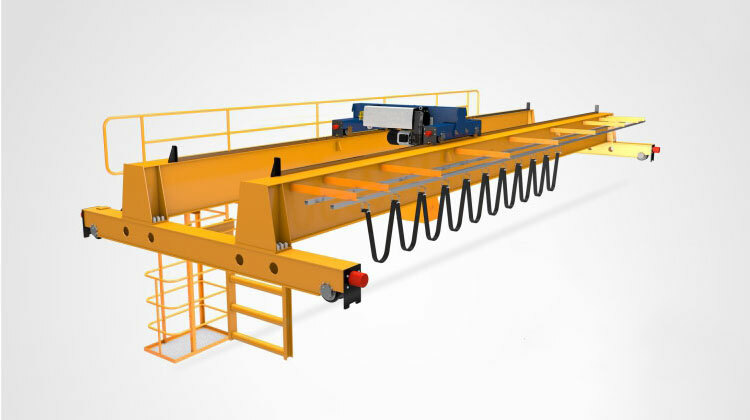 NLH double girder bridge crane is an European standard overhead lifting equipment. It is distinct from other conventional double girder cranes as it has low headroom, compact structure and delicate appearance. 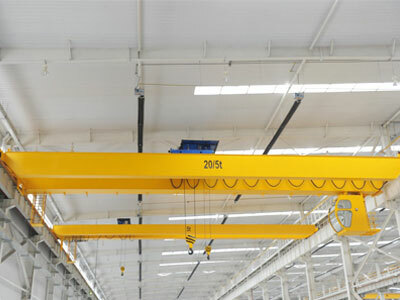 The European standard double girder overhead crane adopts advanced technology and design concept, making it a perfect option for lifting occasions where they require a high-level efficiency and reliability. 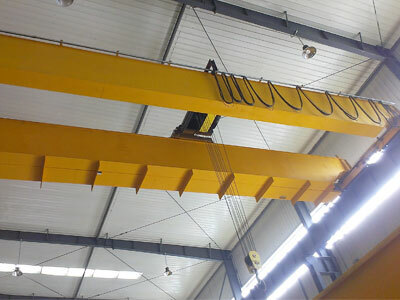 The advanced double girder bridge crane can lift 5 ton to 50 ton weight, and the working duty is A5 or A6. 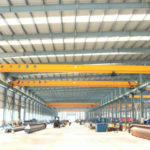 It is equipped ND type wire rope electric hoist. According to your special requirement, we provide custom design. 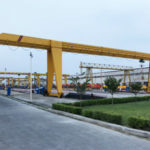 The double girder bridge crane is designed and constructed in conformity with European FEM standard, and the overall technical level has reached the international advanced level. The steel structure of double beam bridge crane has reasonable design and optimal structure that meet the requirements of rigidity, strength and stability. The design of steel structure takes into account the convenience and possibilities of manufacturing, transportation, installation, inspection and maintenance. Be means of optimizing design method such as finite element analysis, the weight of crane metal structure can be minimized. The compact structure and small wheel pressure can reduce the investment in the early stage of the project, such as the construction of steel structure workshop. At the same time, the expenses on lighting and heating can be reduced. 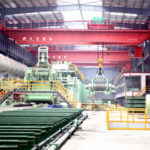 The uses of quality and high-performance components can help reduce repairing and maintenance work, and also the total energy consumption will be decreased. Customized configurations are available for your special requirements. 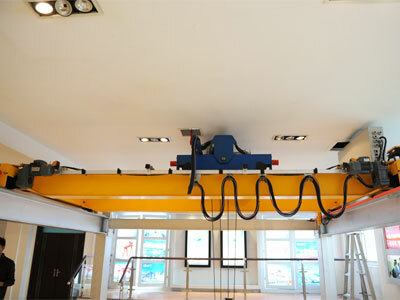 The European double girder bridge crane is a new style of heavy duty equipment, and is distinguished by the fact that it has low headroom and minimum limit distance from the hook to the building wall. Therefore, it can effectively increase workspace within the existing facility. 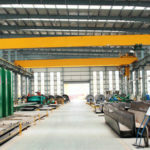 There are a few main components constituting European overhead crane, including main beam, end beam, hoist trolley, crane running mechanism, electrical device and control system. The bridge girder is constructed with H-shaped steel structure. It adopts automatic welding, and the main welding joints will take a non-destructive testing. The end carriages are connected with the two bridge girders by high tensile bolts so as to ensure a smooth movement. They are shaped by rectangular steel pipe or steel plate. 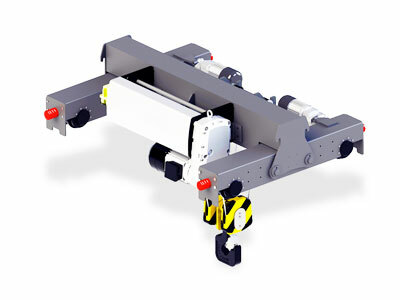 The maximum lifting capacity of European hoist trolley can reach 80 tons. It provides accurate positioning, stable movement and efficient operation. Depending on the customer’s needs, the frequency conversion hoist or double hoists can be configured. The crane and trolley travelling mechanisms adopt SEW three-in-one motor, Schneider or ABB inverter, which provide fast and smooth movement. 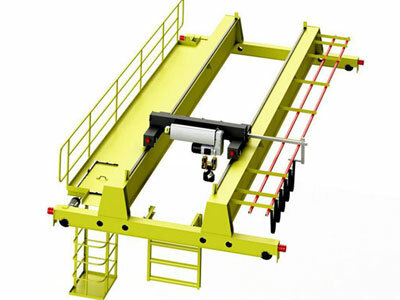 The double girder bridge crane is operated by wireless remote control or cabin control. We aim to solve any problem you have in the material handling fields. Our experienced engineers will design a solution that delivers appropriate functions as well as provide technical support for clients. We promise a fast delivery. We provide on-site installation if needed. 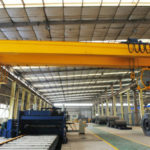 In the event of crane malfunctions, we offer maintenance service according to contract. 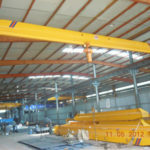 Some critical components such as electric hoist are supplied. 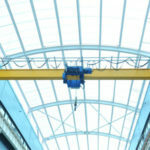 Interested in NLH European standard double girder bridge crane? call us now to get a free quotation!